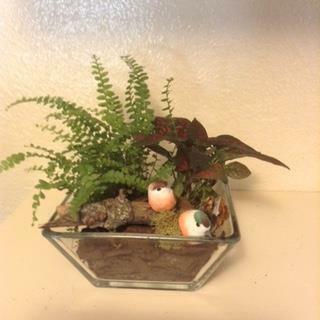 Come to the Shoreline-Lake Forest Park Senior Center and create you own indoor garden! Instructor Maryellen Swanson will help you make "beautiful, magical, sustainable terrariums for your patio, deck or indoors". She will be at the Senior Center on Tuesday, April 4th, 1:30-3:30pm with all the materials you will need. The fee is $22 for Senior Center members; $25 for non-members. Maryellen is a Seattle garden designer and delighted to bring her art to Shoreline! Register at the Senior Center, 18560 1st Ave NE #1, on the Shoreline Center Campus or call 206-365-1536 to pay by credit card. Digging in the dirt can be fun, even if it's indoors!